Fancy getting a bit more confident in the kitchen? Our Beginners Cookery Day is the perfect course for you – complete novices absolutely welcome. 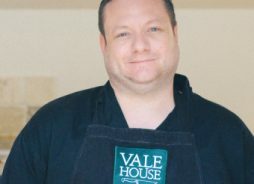 Professional chef Kieran Lenihan will guide you through all the basic skills you need to start making simple, delicious meals with fabulous local and seasonal ingredients. From basic knife handling and the preparation of meat and fish, to the secrets of perfect seasoning. Kieran will also share some of his favourite recipes and his top tips for handling the perfect dinner party, so by the end of the day, you’ll be ready to impress friends and family alike with everything you’ve learnt.